The MBA (International Business) is jointly offered by the University of Greenwich and the Hong Kong Management Association to equip students with practical knowledge and skills to excel in the global business environment. 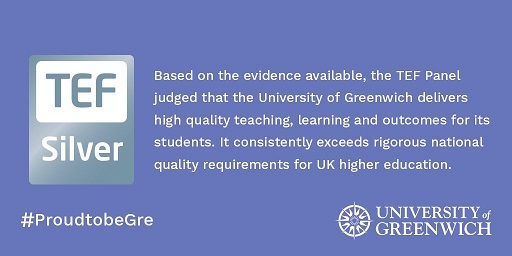 University of Greenwich has been providing higher education for over 125 years. It has over 38,000 UK and international students studying at three campuses in the UK, and an additional 17,000 students studying overseas. Notable alumni include Nobel Laureate Sir Charles Kao, Blur musician David Rowntree and campaigner Doreen Lawrence, Barowness Lawrence of Clarendon. Why the University of Greenwich MBA (International Business) programme? The MBA (International Business) awarded by the University of Greenwich, UK through part-time studies in Hong Kong carries equivalent academic status and recognition to a master's degree conferred by the University to home full-time and part-time students in the UK. The University of Greenwich is an internationally recognised British university and its degrees are fully accredited. The programme consists of a balance of academic learning and practicality. Participants can complete the programme in 18 months with completing 8 modules plus a project. The programme aims at assisting professionals and executives to acquire business and management knowledge and skills in a global perspective. It would assist them to respond to the real business world, especially in the business context of globalization. The majority of modules are assessed through written continuous assessments. This assists students to apply academic learning to the real business scenario. The MBA (International Business) programme can be completed in 18 months and each module lasts for 8 weeks. Students are required to complete eight modules plus a project. Upon completion, students will be awarded the MBA (International Business) by the University of Greenwich. Mature applicants and/or applicants with professional work backgrounds will be considered. A minimum of two years of work experience of managerial nature.